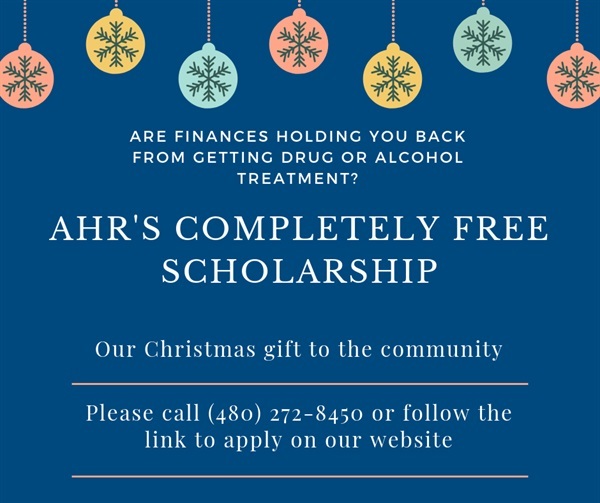 In honor of the holiday season, Ahwatukee Health and Recovery wants to give back to the community and is offering two free scholarships for Outpatient Addiction Therapy. We understand that alcohol and drug treatment can be expensive. In our mission to provide everybody with access to quality treatment, we are offering completely free psychotherapy services with your own personal Licensed Substance Abuse Counselor for 8 weeks. No catches, no gimmicks, we just want to bless someone in need as we have been very blessed.